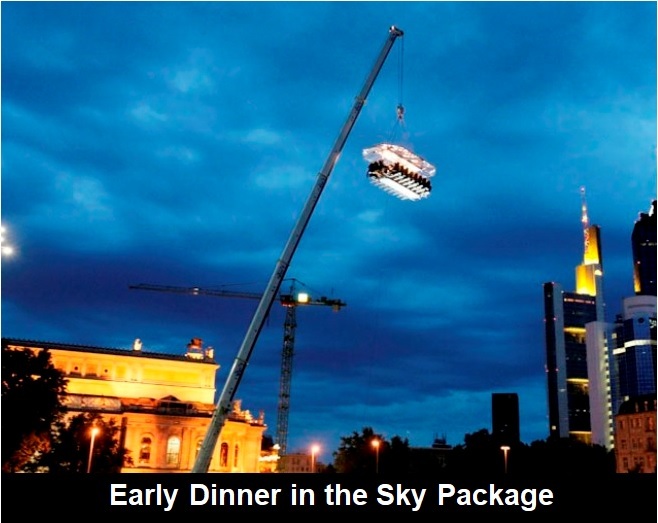 Euro Events London are delighted to have appointed as an Official Agent for London in the Sky and we can now provide a gastronomic experience like no other! Host your clients or treat your staff as you enjoy a sumptuous meal at 100 feet in the air while overlooking The O2 and River Thames, taking in spectacular views over Canary Wharf, the City and more! 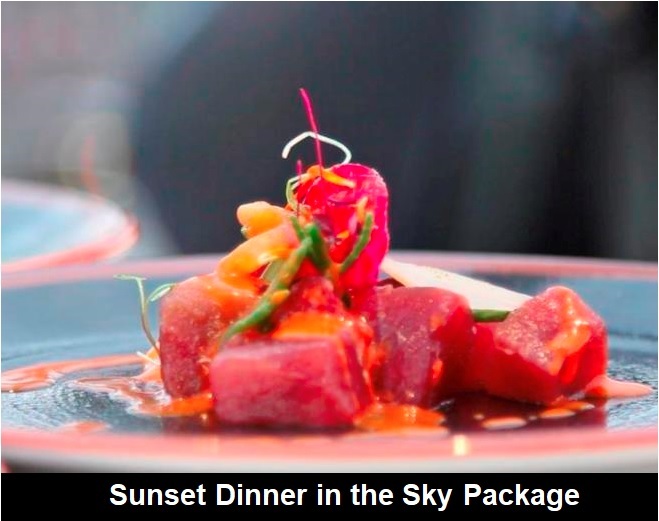 For the sixth consecutive year, London in the Sky will operate a pop-up restaurant with a table of 22 guests going into the sky for eleven weeks during the Summer of 2019. London in the Sky will be a gastronomic dining experience like no other as guests enjoy a dining experience on one of three unique sky tables side by side 100 feet in the air. The caterers for 2019's event will be Social Pantry, who are a socially aware caterer who have built a team of staff, suppliers & charities who naturally connect with their values of the business, they are passionate, entrepreneurial and responsible..
Before and after being lifted into the air guests can make use of the premium hospitality marquee where you can enjoy drinks from a cash bar. Guests will then proceed to one of the three tables, which seats 22 guests with chefs, sommelier and a waiting team serving from the kitchen in the centre of the table. Guests are securely fastened into their seats before the table is raised to the dining height of 100 feet and their gourmet experience begins. To get you excited, check out the preview video below for London in the Sky. Interested in booking a whole table? We offer fantastic corporate packages for one of the most unique hospitality experiences in London. You can book the whole of the 22-seat Sky Table and create a bespoke experience that's specifically tailored to you and your guests. For more information on exclusive experiences and special offers, get in touch here.